Sheet masks are the easiest and most effective way to give your skin some love. They are also a very fun way to relax by yourself or with others - who doesn't enjoy a good giggle?! These are just the many benefits of sheet masks, in fact, the list is endless. 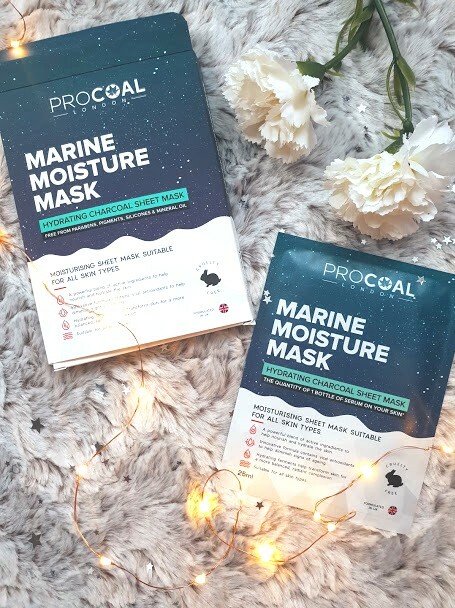 My current go to sheet mask and the one that is currently on my face, is the Procoal Marine Mositure Mask. 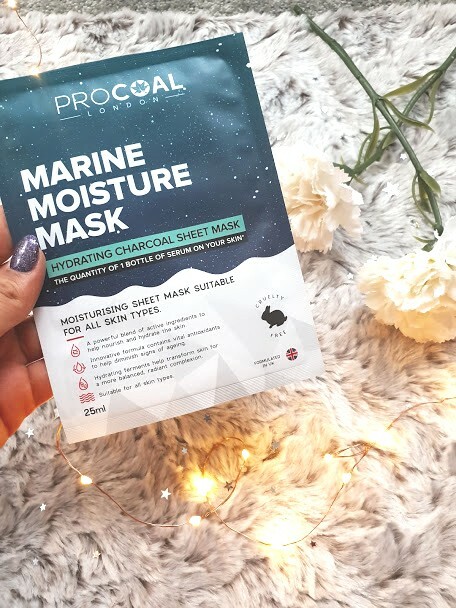 Procoal are a British brand that produce high quality beauty products that are kind to the skin. For the price (£13.99) you recieve 4 masks. It is aimed at all skin times as it is marketed as a moisturising mask (for reference, I have oily skin). 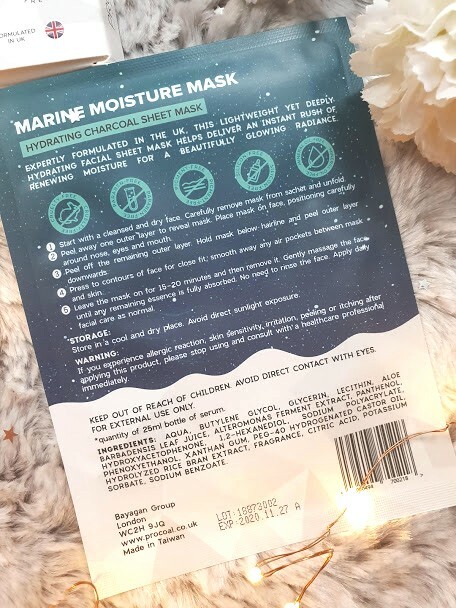 There are a few standout ingriendts in this mask; the Marine ferments helps to retain mositure, botanical extracts to hydrate, B5 Vitamin to keep the skin healthy. In just 1 mask, there is 25g of serum, all of which is instantly absorbed into the skin and then can be used after. I love using sheet masks, for the convience. There is no washing to do, no cleaning the sink from all the mess created and its a relaxing process. Its important to cleanser before applying any mask, you don't want your skin to full of oil and dirt. Cleansing and even toning before applying the sheet mask will not only prepare the skin, but make sure impurities are removed. I never realised that these sorts of masks are going to exfoliate my skin, in fact they are adding hydration back into it. If you are going through a bad skin phase, feel the winter is affecting your skin or just fancy some glow then sheet masks are guaranteed to be the best thing for you. They have even more benefits when they are tightly stuck onto the skin. I choose to use this mask as part of my Sunday routine, my skin could do with a another round of masking during the week but time does not allow. It starts with showering, cleansing and then applying the mask as I know that my pores are open and my skin is clean. The mask is very easy to apply and on my 'big head' does not need to be cut or trimmed, it fits perfectly. The serum was well spread across the mask and this meant it covered my entire face exactly. After about 20 minutes, a quick nap and listen to the A Star is Born Soundtrack (obsessed is an understatement) the mask comes off and my skin is alive again! That dry, cracked feeling of not being able to move my face much due to the cold is GONE. It feels so much nicer, hydrated and nourished. The three times that I have used this mask, I have had a tiny amount of serum just sitting on my skin, with this I simply just massage it in. No point wiping it off because my skin could do with it! For the next few days, I definitely notice that my skin has much more of a fresh look to it and I can't complain. This is a wonderful mask and if you haven't entered the sheet mask world then you must! 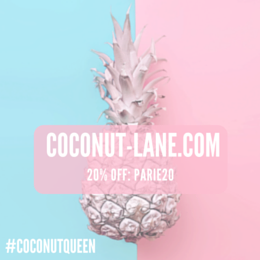 You can get 20% the mask and anything else from Procoal using my link!